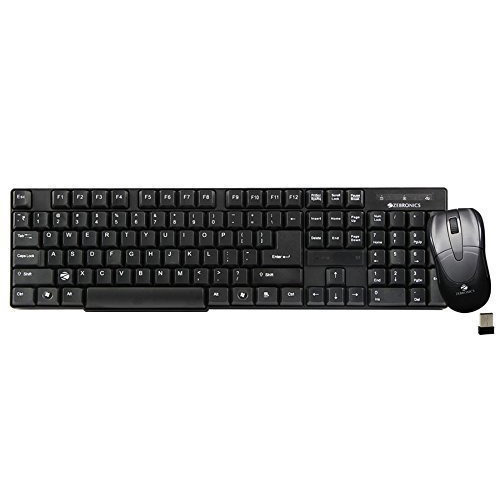 We have carved a niche amongst the most trusted names in this business, engaged in offering a comprehensive range of Zebronics Wireless Keyboard Mouse. Shri Kothari Solutions is India’s one of the pioneering companies started in 2014 and contending in this fierce market marvelously by the in-depth business dexterity. By the support of our professionals, we are engaged in wholesale trader a superb quality assortment of products includes of Wireless Speaker, Barcode Scanner, USB Data Cable, Power Bank, Wired Headphone and many more. The squad of our venture is committed to purveying products that not only satisfy customer needs but also add value to the equipment investment by minimizing costs, improving productivity.